Nintendo is the master of nostalgia. Not exactly surprising, given that the company has been responsible for some of the greatest and most iconic computer games of all time. But even 26 years on, running through yet another re-imagination of Bowsers lava-filled castle from Super Mario Bros World 1-4 doesnt feel grating at all. It feels pleasantly comfy. 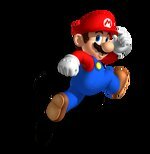 You know the story by now - Princess Peach gets kidnapped by Bowser and taken away to his lair, the little mushroom people cry and Mario has to save the day. Scenes are detailed via still frame cartoons with the same charming art style as Super Mario Bros 3. The action mashes up 2D sidescrolling (albeit with a 3D visual twist) with more modern platforming in which you get to move through a 3D virtual world. There are a lot of positively retro throwbacks here besides the core gameplay. Levels are separated with a 2D World map that sees Mario journey to the end-of-World castle (or flying battleship) for rescuing duties. 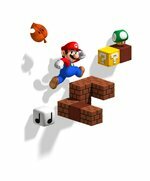 Mushroom houses return, and offer special prizes that can be mapped to the Super Mario World-esque item reserve on the touch screen. There are also bonus stages that can be played if you have collected enough Star Coins to unlock them. You can also find help in the form of green binoculars dotted around certain levels. Think of them as a more discrete form of Nintendos Super Guide, first introduced in New Super Mario Bros. Wii to help players overcome challenging parts of a game. Here though, the binoculars simply allow you to assess all the dangers in a given area. 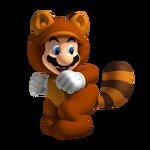 Sometimes, youll see Toad calling for your attention - focus on him, and hell demonstrate a hint or chuck out a Star Coin for you to collect. 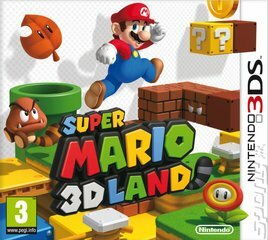 Whether you're a crusty old gamer looking for a taste of nostalgia or a young whippersnapper looking to get the most out of their 3DS, Super Mario 3D Land is unlikely to disappoint.